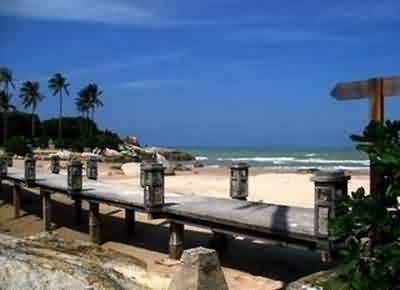 Parai Tenggiri located in Sungailiat, the capital of Bangka Regency, about 30 km north of Pangkal Pinang. Reaching that tourist area of Bangka Belitung are relatively easy because there is already an Airport named Depati Amir in Pangkal Pinang. It only took 55 minutes of flight to Depati Amir Airport from Soekarno-Hatta Airport in Jakarta. The flights to get there are also available everyday. There are Batavia Air, Sriwijaya Air, Mandala Air Lines, and Garuda Indonesia. From the airport, the journey can be continued by travel or taxis which hung on te airport. The fee is Rp. 400 thousand(US $40)to Rp. 500 thousand(US $50) for 34 km (45 minutes) to the Parai region. If you want to save money, you can rely on public transportation. It costs only Rp. 150 thousand(US $15) to Rp. 200 thousand(US $20). But, it is a little complicated. You must change from one public transport to another. From Depati Amir airport, you can ride public transportation to Terminal Pasar Pembangunan, continued with public transportation to Terminal Selindung. The rates of each public transportation is Rp. 3000 (US $.3). In Terminal Selindung, we can take a bus or minibus (L300) to the terminal at Sungailiat Market with a rate around Rp.15 thousand(US $ 1.5). From Terminal Sungailiat Market that we should look for more public transportation. Or, we can directly hire the previous L300 to Parai Beach area. The cost is Rp. 100 thousand-150 thousand (US $10-15). Arriving at the Parai Tenggiri, there are usually tour guides stand by in the lobby of Parai Resort & Spa, ready to take you to an adventure visiting exotic coral reef area in Parai Tenggiri beach. The easiest alternative is using glass-bottomed boat, a boat with a glass window at the bottom. It took 25 minutes to arrive at the dry reef area. Ship rates Rp. 90 thousand(US $9) per person per trip. In the region, coral reefs can be clearly seen from the translucent bottom of the boat. Therefore, it’s only 4-5 meters depth. As long as the sea is not on a high tide, coral reefs can be enjoyed with the naked eye. For those who like diving, the area around the ruins of the ship of PT. 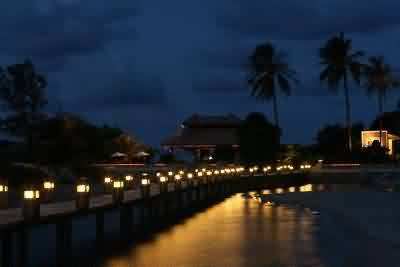 Timah that sank some twenty years ago is a paradise with incredible beauty. Four colors of coral reefs grow in the region. There are blue, red, yellow, and green-white. To enjoy the coral reefs in that area of about one hectare, the diver can simply use the standard scuba gear since the waters are quite shallow there. 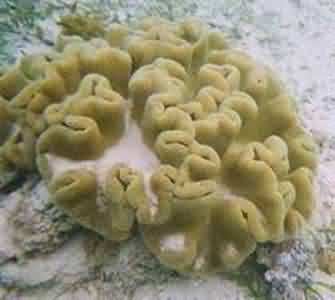 In the area of the dry coral, there is also magnificent brain coral. It’s called ‘brain’ because its appearance is exactly like the human brain. White colored marble coral with wrinkles like the throbbing human brain. 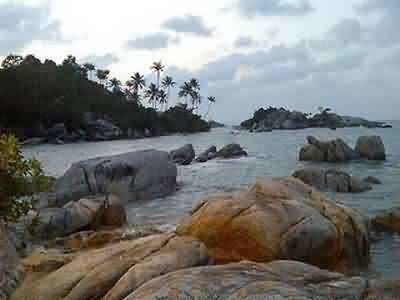 According to local residents, the coral reefs in the Parai Tenggiri is stil pristine and untouched. According to many visitors, the reefs in the waters of Parai Tenggiri no less beautiful when compared with coral reef in Nusa Dua, Bali.